861 was one of three First/Third brake-composites built in 1906 by the GS&WR at their Inchicore works in Dublin for the Cork to Rosslare boat train service. Eight more 1st/3rd composite vehicles for use on the same service were added in 1907, totalling 11 coaches of the same profile, three brake composites, seven composite coaches and a dining car. Only the brake composite coaches (861-3) had six-wheel bogies. 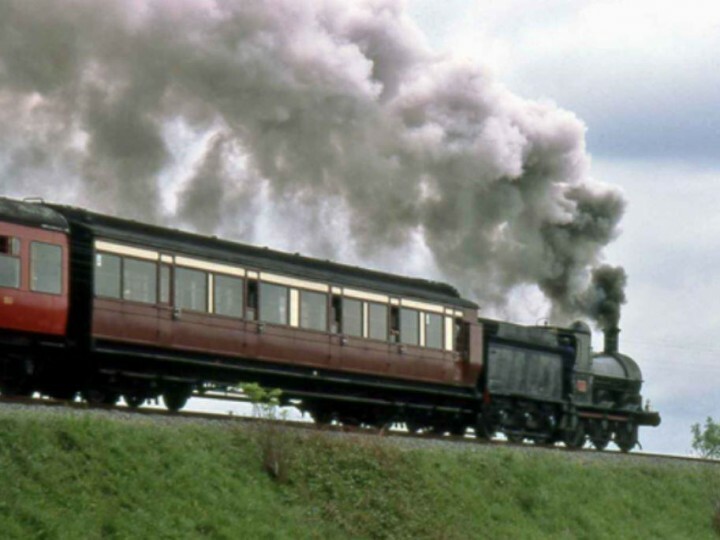 Initially the coaches were to have been three classes, but in February 1906 in conjunction with the GWR, it was decided that only 1st and 3rd class passengers were to be conveyed. The coach accommodated 12 first class passengers in two compartments seating three people facing each other across the coach, and 40 third class passengers in five compartments seating five people facing each other across the coach. There was a corner toilet for first class passengers at one end of the coach, the third class toilet was in the middle of the coach with two compartments on one side and three compartments on the other side. Each compartment had an exterior door, a side corridor ran the length of the vehicle up to the door into the guard's van. There was one exterior door from the corridor for first class use, and two for third class use. A single leaf door in the corridor separated the first and third class compartments. 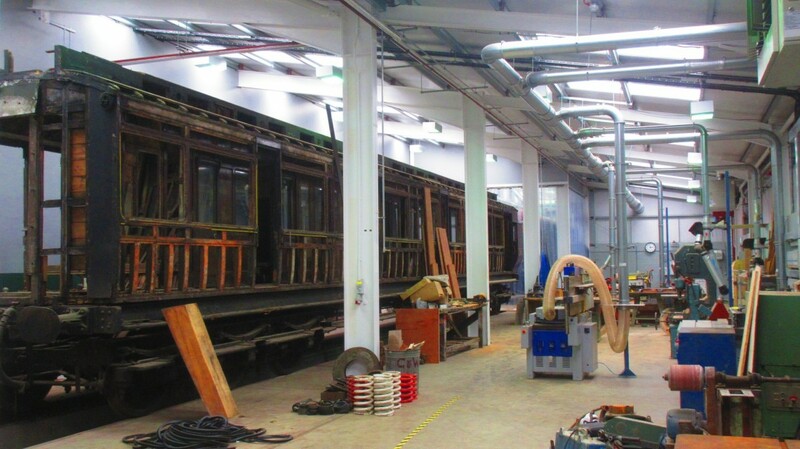 The guard's van as originally built was partitioned off from the corridor with a set of double sliding doors in the partition, allowing access across the coach from a pair of double doors (one opening inwards, one opening outwards) on each side of the coach. In RPSI ownership the partition has been removed allowing more van space for hoses, etc. The guard's van has a lookout on each side of the coach at the extreme end of the van. The 'duckets' allow the guard to look along each side of the train avoiding the need to look out of the window to see that all is in order with the train, also to see the location of the train and prepare for stops, etc. - Height over roof 12'10"
This coach is notable in that the bogies are three axle, giving a smoother ride, wheel diameter 3'7", bogie centres 47'6", wheelbase 11'6". The roof profile is 'high-clerestory' containing glass toplights which could be opened for ventilation. Illumination is by gas which was produced by the company at their own gas plant at Inchicore, and was sent to principal stations in special tankers to enable vehicles to be topped up. Dining cars also used gas for cooking, heating was by steam radiators under seats, the steam was supplied through hoses and pipes from the locomotive. 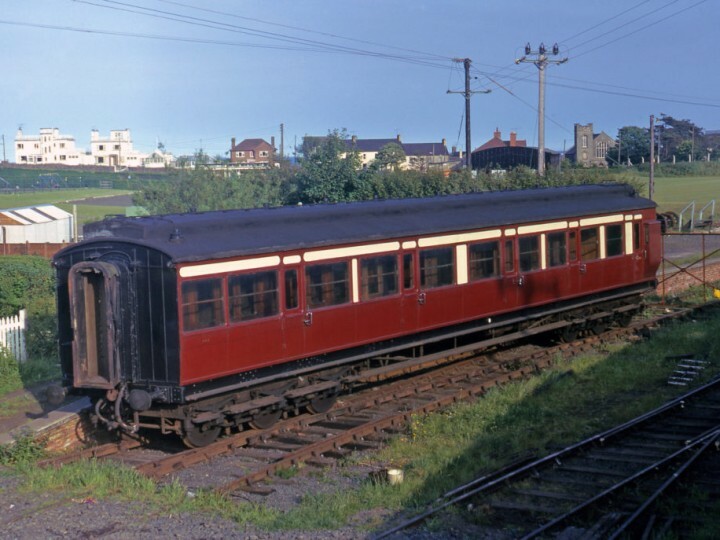 In the CIÉ classification of passenger rolling stock register dated 1st February 1961, 861 is listed as secondary rather than primary stock, now running as 'declassified' 52 second class seats, still with the gas lighting! 861 was renumbered to service vehicle 484A in 1964, and finished its days working between Kingsbridge (Heuston) and Inchicore as a staff shuttle. It came into RPSI ownership on 7th October 1972. 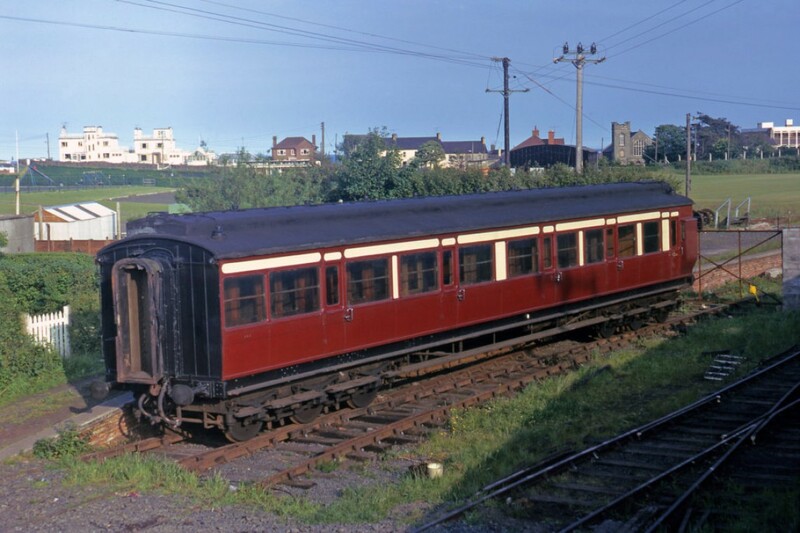 Coach 861 was built for the Rosslare - Cork express in 1906. When built initially she had 1st, 2nd and 3rd class compartments as well as a rather generous brake van and is the last remaining twelve-wheel coach on the island. 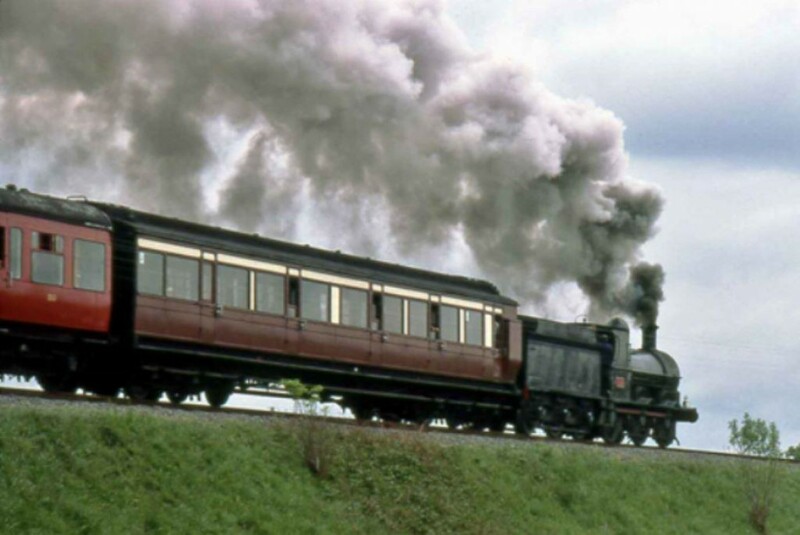 She is fondly remembered as she retained her gas lighting right to the end of active service and throughout RPSI life and was the first of approximately 100 carriages acquired by the Society to date. You may even remember riding in it on RPSI railtours in the 1970s and 1980s. 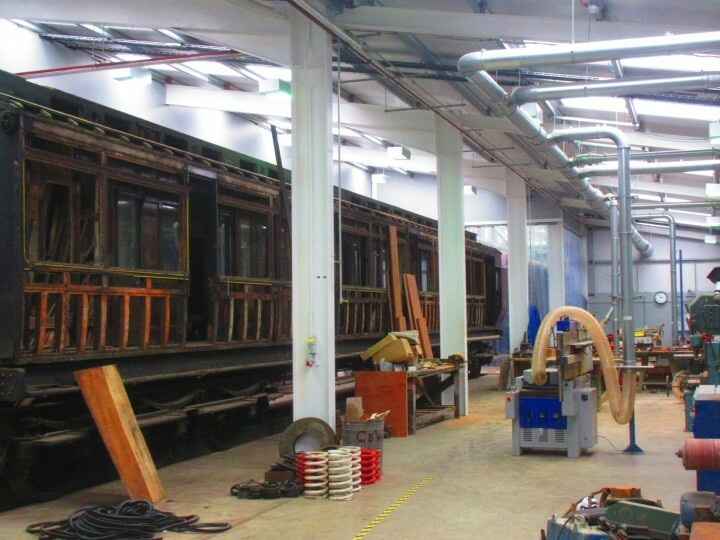 In 2005 a generous benefactor offered to fund her restoration and this was duly started. Currently the timber cladding and structural elements are largely dismantled, to reveal the unfortunately extensive rotten parts that need replacing. While being dismantled photos and video clips were taken, to ensure that everything went back in the right place. Unfortunately, the electronic records have been corrupted and are unreadable. (We're currently working on these.) However, whilst we do have a certain amount of information to hand, if recovery is unsuccessful, this is a request for photos - external and internal - especially internal. Any photographs that may show fixtures and fittings in the background could show something crucial such as a certain panel detail or section of architrave. If you have anything at all, please contact us and we'll make appropriate arrangements for copying. Needless to say all original photos/slides will be treated with great respect and returned once copied. Information can be forward to info@steamtrainsireland.com or to Carriage & Wagon Officer, Whitehead Railway Museum, Castleview Road, Whitehead, BT38 9NA.